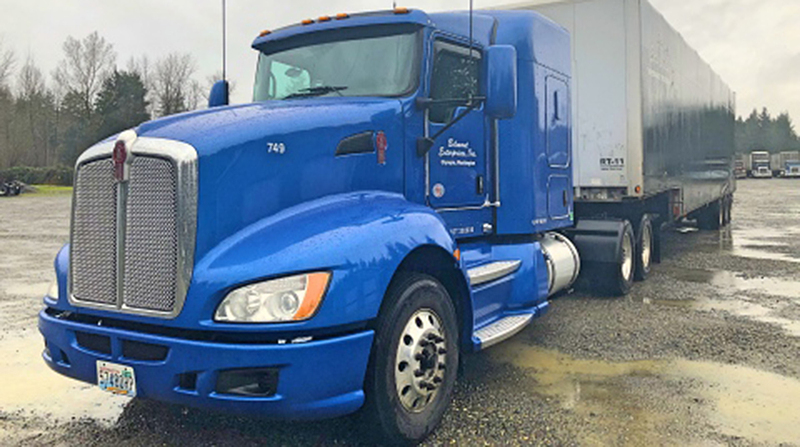 Specialized glass hauler Belmont Enterprises has joined Smokey Point Distributing, a flatbed and heavy specialized carrier that is part of the Daseke Inc. group of companies. The addition of Belmont will complement Smokey Point Distributing’s existing customer base for hauling glass, company officials said in a statement Jan. 2. The move was made a month after Daseke announced the addition of Moore Freight Service Inc., a glass hauler based in Mascot, Tenn., along with two other specialized flatbed carriers. Those additions gave Addison, Texas-based Daseke a combined fleet of 5,200 tractors and more than 11,000 trailers, plus more than 1 million square feet of warehousing space. Belmont, based in Olympia, Wash., operates a fleet of 29 tractors and 37 trailers, according to registration data on file with the U.S. Department of Transportation. Arlington, Wash.-based Smokey Point Distributing’s fleet consists of 243 tractors and 388 trailers. Besides glass, it hauls machinery and oversize assemblies for the aerospace industry, construction equipment and other specialized commodities. Belmont Enterprises was started by Jack and Mary Jo Belmont in the 1970s with one truck, Wirkkala noted. Over the years, the company developed a swivel top tie-down system for moving large pieces of clear and coated glass without the use of ladders for loading. Daseke bought Mascot, Tenn.-based Moore Freight Service on Dec. 1 (along with Tennessee Steel Haulers and Co., and Roadmaster Group for cash and stock valued at $270 million), keeping the current management in place. Moore’s service territory consists of the Midwest, East Coast and Canada. Daseke is a leading consolidator and one of the largest flatbed and specialized transportation and logistics company in North America. It ranks No. 42 on the Transport Topics Top 100 list of the largest North American for-hire carriers.